Wow! That was my thought when I was reading. 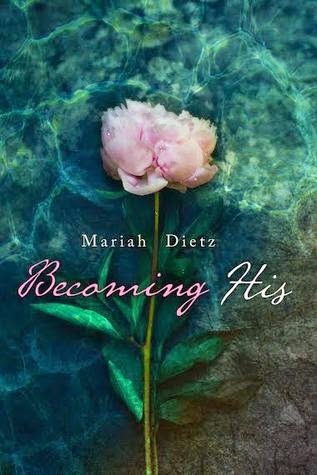 Mariah is a New Author, but you wouldn’t know based on her writing. When I finally finished, it took me DAYS to process all of my emotions. I couldn’t get the characters out of my head. Ace, 19, is smart and driven, yet slightly indecisive. She is the youngest Bosse girl. She’s cautious, loving but has an unrealistic fear of failure and loss. The Bosses’ are open and honest and know how to have fun. Ace is especially close to her father, he knows how to communicate with her in a way no one else can. Ace’s fear keeps her from truly embracing life. She has watched Max for as long as she can remember. What you see isn’t always what you get. Max, 22, is a player by necessity and beautiful (as Ace would say), leaving home for Alaska at 18. When he returns home three years later, he runs into, neighbor girl Ace (Harper) Bosse. He doesn’t know what to make of her, she’s captivated him. She’s not like girls he usually associates with. Max struggles with his own issues, even though he hides it well. Will he trust that Ace truly wants to be with him? every piece of you.” My heart stops. What I love is how strong all the characters are. You’ll find that you are drawn to the supporting characters, just as much as Ace and Max. Mariah will bring back all the feeling of your own youth, the emotions that you experienced with your first love/heart break. Whether it’s angst, love, confusion, self doubt, fear or just being crazy, your heart is going to feel it. One thing that I would say was confusing, was the beginning of the book when we first meet the family. I have to imagine that’s what it’s like when you first meet a large family. That confusion only lasts a chapter or two, until you learn the family dynamics. That being said, the family dynamics contribute to making this book great. I recommend this book to anyone who enjoys an amazing love story and strong characters. I have recommended this book to friends and coworkers, really anyone who will listen to me long enough! Great review, Terri! I love these sort of love stories where feelings develop over a long time!